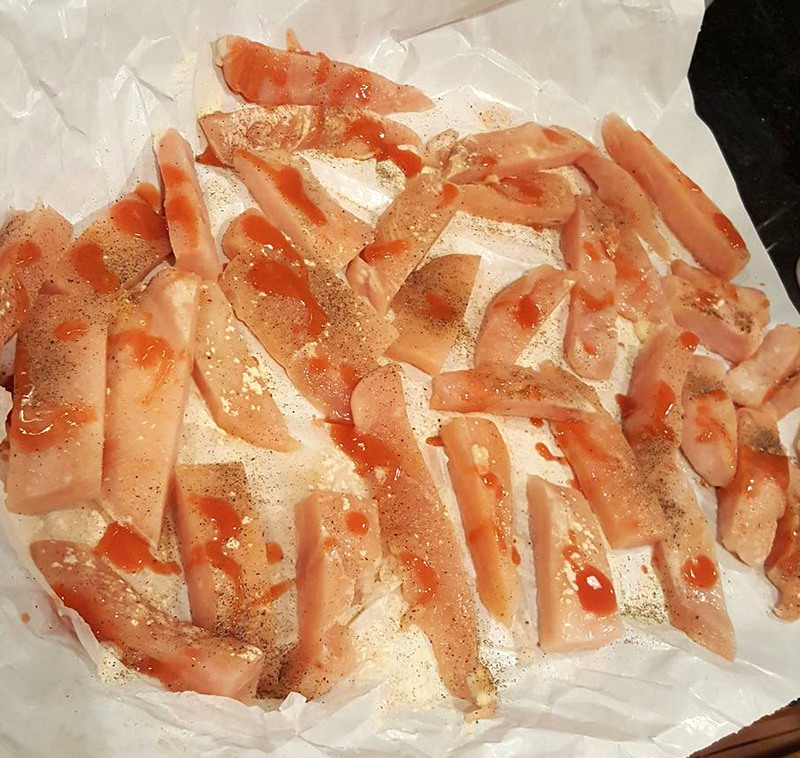 Season chicken strips with salt & pepper and a little hot sauce. Dip in egg mixture, then crushed pork rinds. Fry in frying pan butter until golden. Put on baking pan and into the oven at 350 F for 5 minutes. Top with hot sauce and serve with home made Ranch or Blue cheese dressing. 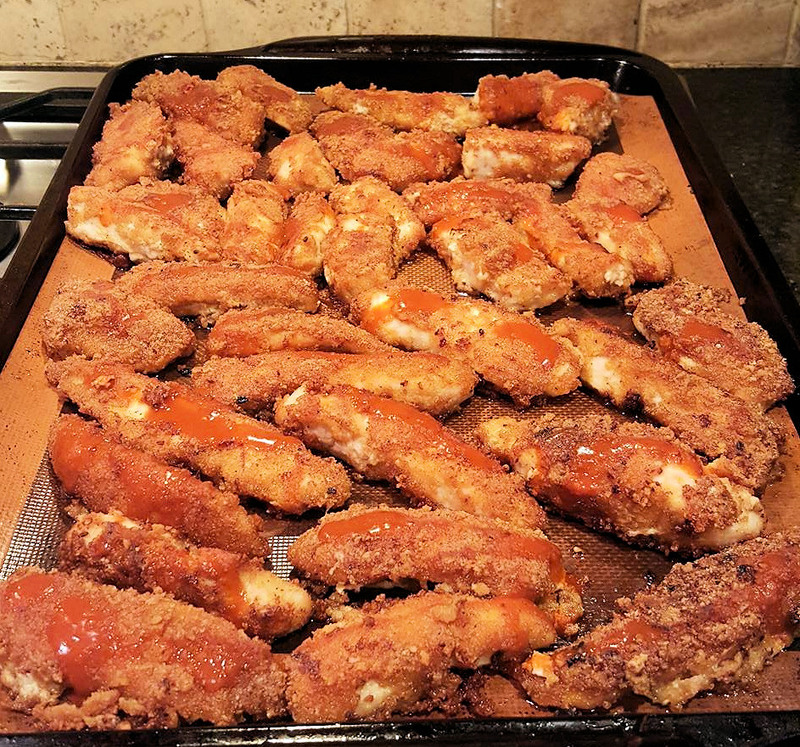 For more Zero Carb recipes please join us in our facebook group.